Auction site eBay's UK subsidiary has agreed to pay an extra £7m in tax following a review by HMRC. According to the latest accounts from the firm, its sales in 2017 rose to more than £500m, but its profits were still relatively small at £20m. The £7m payment covers tax liabilities for previous financial years. Its tax bill for 2017 came to another £6m. In 2016, eBay paid only £1.6m in corporation tax on declared profits of £7.7m. 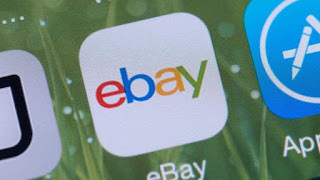 An eBay spokesperson said it complied with all the relevant laws and rules of every country it worked in, including the UK. A spokesperson for HMRC said it did not comment on identifiable taxpayers, but added: "HMRC has a very strong track record on challenging contrived tax arrangements. We make sure that large businesses, just like everyone else, pay all the taxes due under UK law and we don't settle for less."